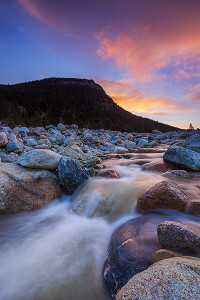 It can be difficult to contain my excitement when I think of summer settling into Rocky Mountain National Park. I can think of no place I’d rather be then hiking back down a trail after shooting sunrise at one of Rocky’s hundreds of backcountry alpine lakes and tarns. The warm sun on your face, the smell of the pines amplified by the morning dew, hopscotching around the puddles on the trail from the previous nights thunderstorms are experiences as close to nirvana as anything I can imagine. Summer season in Rocky is almost here. Sure there is lots of snow in the high country of Rocky, but conditions are changing quickly. The weather is finally warming and the snow is starting to melt at a good pace. Lakes like Sprague and Cub have mostly thawed and are free from ice. Many of the other lakes around 9000 ft or less have also opened up or are partially open. Grasses are starting to green in both Moraine and Horseshoe park. Summer will be here before you know it, and I for one can wait. Besides checking out the conditions around Rocky Mountain National Park this week, I also took the time to photograph a few mornings. In particular, I was able to photograph one area that I’ve been eyeing since last fall. It’s an image that was not possible before last Septembers flooding. The flooding while devastating has mostly been mitigated to a point that only small areas of Rocky Mountain National Park are affected. Stream crossings on many trailheads are missing and many places along Old Fall River road have been washed out, but considering the vastness of Rocky these will only prove to be minor inconveniences for summer visitors to Rocky. The power and scope of the flooding is still evident in Rocky Mountain National Park in many areas however. In particular the landscape along the Roaring River and the Alluvial Fan reveals the intensity with which the flooding occurred. The Alluvial Fan was formed when a man made dam failed at Lawn Lake on July 15th, 1982. Three visitors lost their lives and the dam break flooded downtown Estes Park. The torrent of water pushed boulders and sand downstream forming the Alluvial Fan in Horseshoe Park. Fast forward to September of 2013 and the area saw a near repeat of the Lawn Lake dam break, this time caused by nearly 20 inches of rain over a three day period. The September flooding once again greatly altered the area around the Alluvial Fan and the Roaring River. At the base of the Alluvial Fan, the Roaring River jumped it’s banks and diverted itself from flowing southward, to instead flowing around the road bridge on Old Fall River road and heading due west prior to resuming it’s southerly course a quarter of a mile downstream. This new course forged by the Roaring River due west has opened up some new photographic potential around the Alluvial Fan. With the Roaring River now flowing east to west over this newly formed 1/4 mile course, I had been waiting for favorable conditions to photograph this area. A combination of increased spring runoff combined with some nice clouds over Horseshoe Park last week brought just the right conditions to photograph this area. While I’m used to making attempts to photograph places in Rocky that are often new to me, it’s not everyday that I actually have the opportunity to photograph something new without having to wait the usual thousands of years or so that natures slow pace typically dictates. 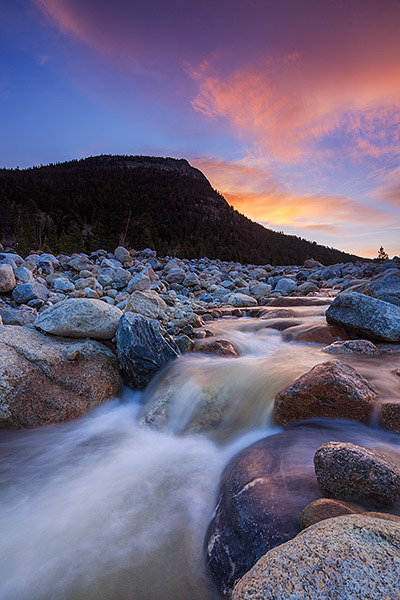 So out of all the destruction and loss the September flooding has caused, the silver lining is that it has also created new opportunities to photograph Rocky Mountain National Park as well. 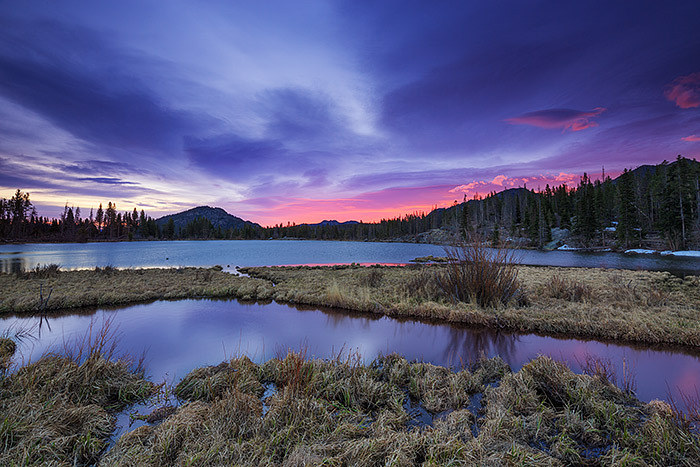 Posted in Colorado, Photography, Rocky Mountain National Park on May 7, 2014 by Tom Mangan.